Day two of Geothink’s 2017 Summer Institute at McGill University in Montreal, QC featured presentations by faculty on the pressing issues facing smart cities. 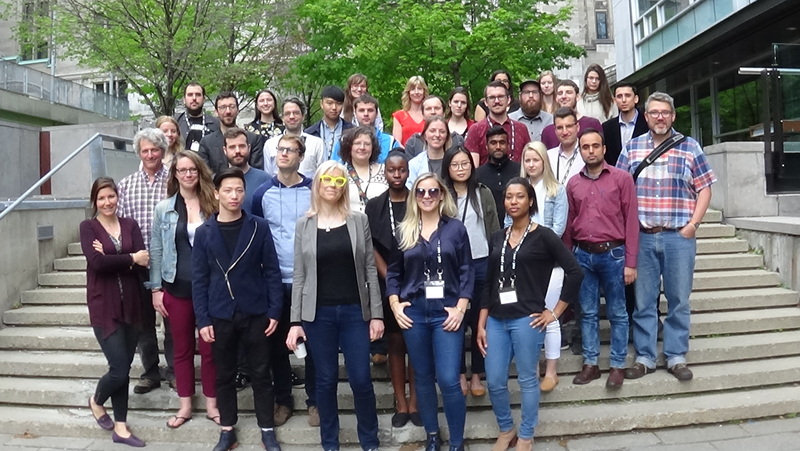 On day two of Geothink’s 2017 Summer Institute at McGill University in Montreal, QC, students got their hands dirty investigating the important issues facing smart cities. Each group presented unique findings in answer to a question they were asked to investigate from the disciplines of law, geomatics and geography. The theme of this year’s Institute was “Smart City: Toward a Just City.” An interdisciplinary group of faculty and students tackled many of the policy, legal and ethical issues related to smart cities. Each of the three days of the Summer Institute combined workshops, panel discussions and hands-on learning modules that culminated in a competition judged by Montreal city officials and tech entrepreneurs. The goal of the competition was for student groups to develop and assess the major principles guiding Montreal’s 2015-2017 Montréal Smart and Digital City Action Plan. Before undertaking their own research, students heard from Institute faculty with expertise in each of the areas they were asked to investigate during half-hour presentations. 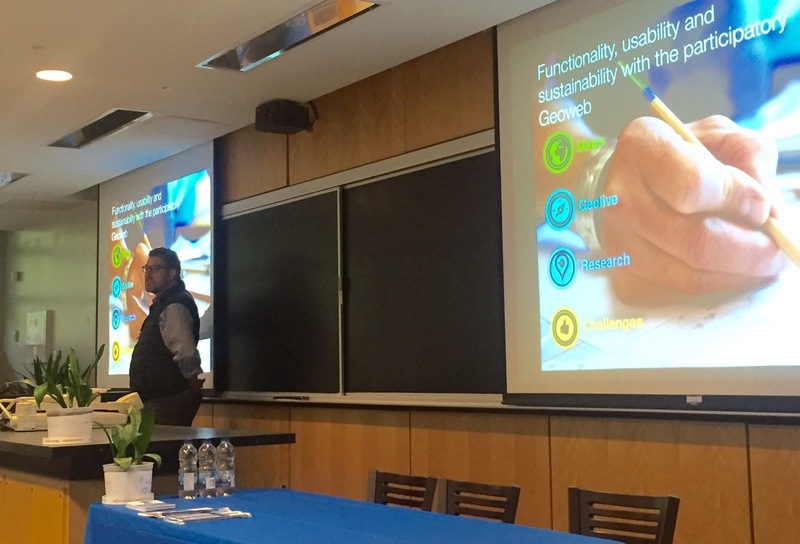 This began with a presentation on the online, participatory mapping tool, GeoLive, by Geothink Co-Applicant Jon Corbett, associate professor in University of British Columbia at Okanagan’s Department of Geography. He was followed by Geothink Co-Applicant Teresa Scassa, Canada research chair in University of Ottawa’s Faculty of Law, who talked about the legal issues surrounding the development of applications (APPs) in smart cities. Geothink Co-Applicant Stéphane Roche, associate professor in University Laval’s Department of Geomatics, finished the morning by talking about ethics in smart cities. At the conclusion of the presentations, each student group was presented with a unique question that they had to answer. Questions were derived from each discipline and speaker’s presentation. They asked students to conduct research on how society should evaluate the usability and functionality of smart city APPs and how the additional data and APPs from a smart city create legal liability for cities that doesn’t fit within the policy structure that already exists. A different group worked with another site, iSearch Kelowna, for their question. The Web site makes use of open data to aid people in finding low-income rentals, supportive housing or emergency shelters within the City of Kelowna. The day concluded with each group presenting findings on what they had found during their research. For many, this proved enlightening and related well to their own work back at their home university. Student groups worked on day two to answer research questions posed by the panelists about smart cities. This entry was posted in Conferences, Geothink Videos and tagged apps, ethics, Geothink, liability, mcgill, Montreal, SI2017, smart cities, student research, Summer Institute on June 20, 2017 by Drew Bush. 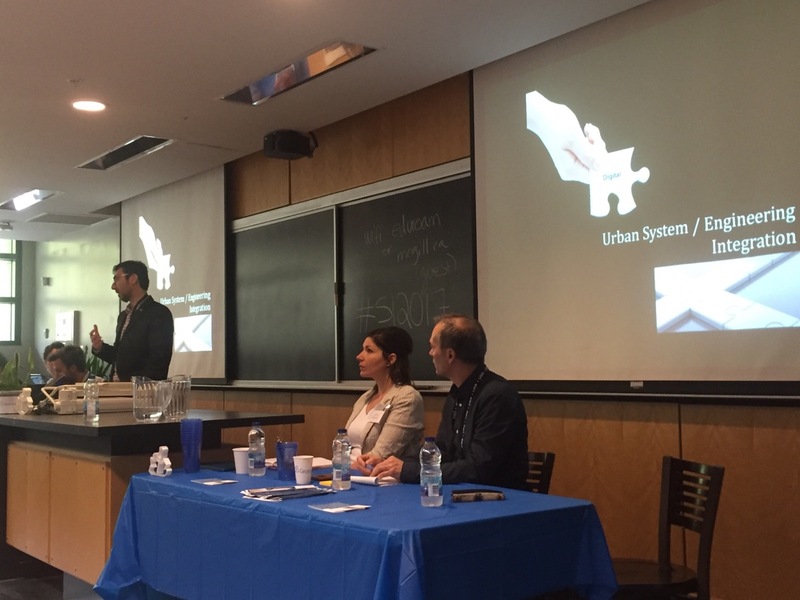 A panel introduces the idea of a smart city to students at Geothink’s 2017 Summer Institute at McGill University in Montreal, QC. The term smart cities can mean one thing to a scholar of geomatics and something entirely different to an urban planner. The morning panelists on the first day of Geothink’s 2017 Summer Institute at McGill University in Montreal, QC enlightened more than 30 students and visitors on their perspectives. The panel kicked off the main theme of this year’s gathering: “Smart City: Toward a Just City.” Each of the three days of the Summer Institute combined workshops, panel discussions and hands-on learning modules that culminated in a competition judged by Montreal city officials and tech entrepreneurs. The goal of the competition was for student groups to develop and assess the major principles guiding Montreal’s 2015-2017 Montréal Smart and Digital City Action Plan. Discussion began with introductions by Geothink Head Renee Sieber, associate professor in McGill’s School of Environment and Department of Geography. Presentations were given by Stephane Guidoin, open data chief advisor in Montreal’s Smart and Digital City Office and Geothink Co-Applicants Stéphane Roche, associate professor in University Laval’s Department of Geomatics; Pamela Robinson, associate professor in Ryerson University’s School of Urban and Regional Planning; Rob Feick, associate professor in Waterloo University’s School of Planning; Teresa Scassa, Canada research chair in University of Ottawa’s Faculty of Law; and Victoria Fast, an assistant professor at University of Calgary’s Department of Geography. Not all the panelists focused on citizen-engagement or new sensors being installed in cities. Robinson spoke on how urban planners talk about smart cities. She noted that the role of planners is to consider the public good and how this should be defined and protected in the development of smart cities in relation to issues of sustainability, equity and inclusion. Scassa noted that she teaches law and, therefore, she thinks of smart cities as sensor-laden cities that make much new data available. For her, this opens many new questions for governance processes and personal privacy. Later in the day, Montreal City Council Chairman Harout Chitilian introduced students to the ways in which Montreal aims to blend open data, new tech and entrepreneurship to make Montreal a leader in smart cities. He spoke at the Institute even as outside McGill the city celebrated its 375th anniversary. In an interview afterwards, he offered a practical perspective on what being a smart city meant for Montreal residents. After more in-depth presentations on civic engagement by Feick and Robinson, accessibility by Fast and free public Wi-Fi by Guidoin, the day transitioned into its first student activity. Groups were asked to answer three questions about McGill’s campus and enrolling as a student. The catch was that half the groups could use free campus Wi-Fi (which Chitilian had just announced as part of the city’s plan) and the other half could not use any online sources. As a resident of Montreal, Cho also felt strongly about the city’s move to install free public Wi-Fi. As the day drew to a close, students were led in a discussion by Sieber on what they knew about smart cities prior to their arrival and how the day’s events had changed their perspectives. 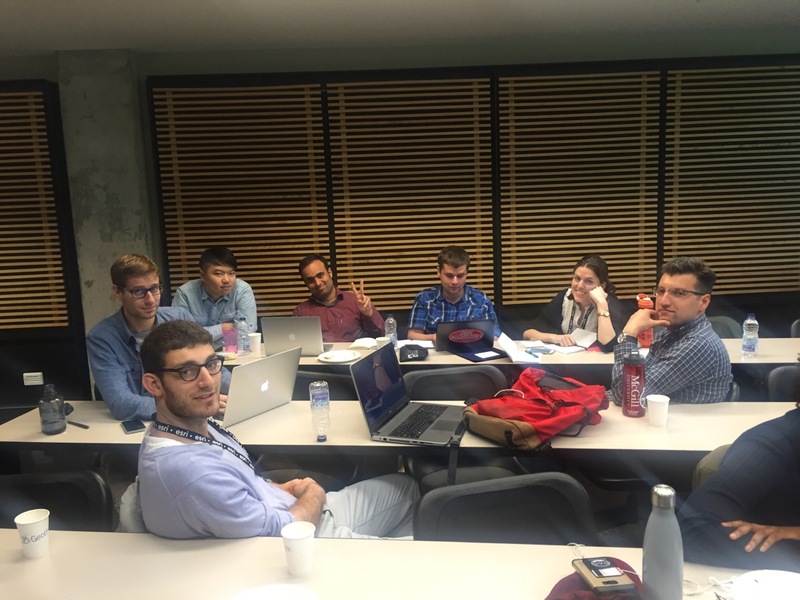 In attendance were students of mixed disciplines ranging from geography and urban planning to law and geomatics. This entry was posted in Conferences, Geothink Videos and tagged City of Montreal, Geothink, geothink students, montreal city council, montreal smart and digital city, panel discussion, SI2017, smart cities, Summer Institute on June 14, 2017 by Drew Bush.